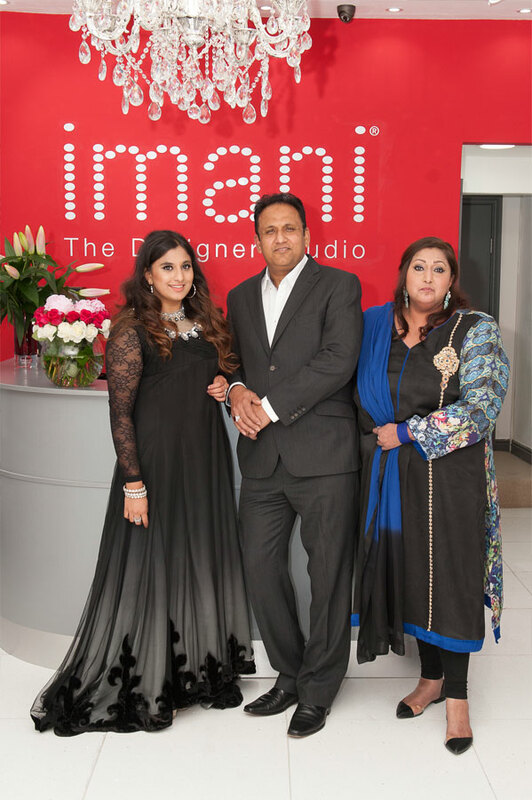 Last week I was invited to the launch of the new Imani Studio store on Wilsmlow Road in Manchester. 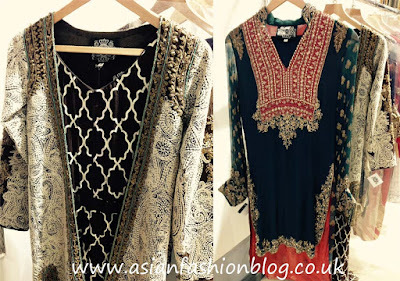 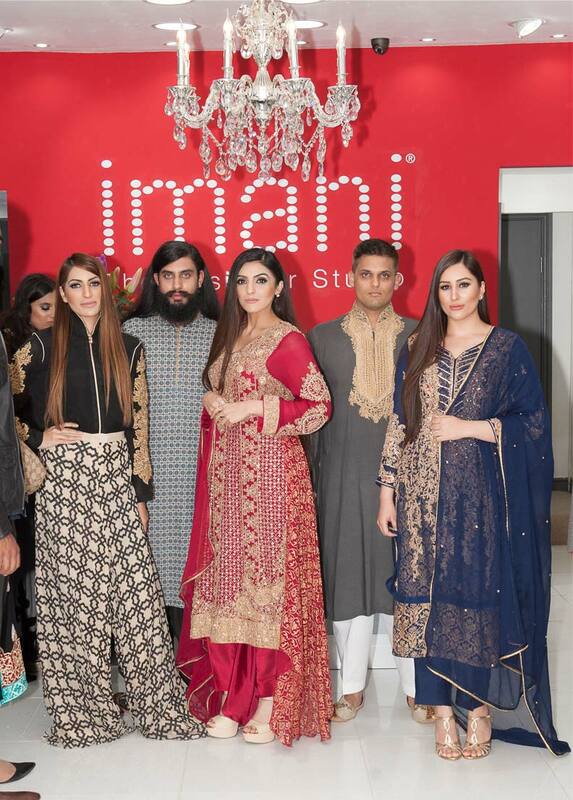 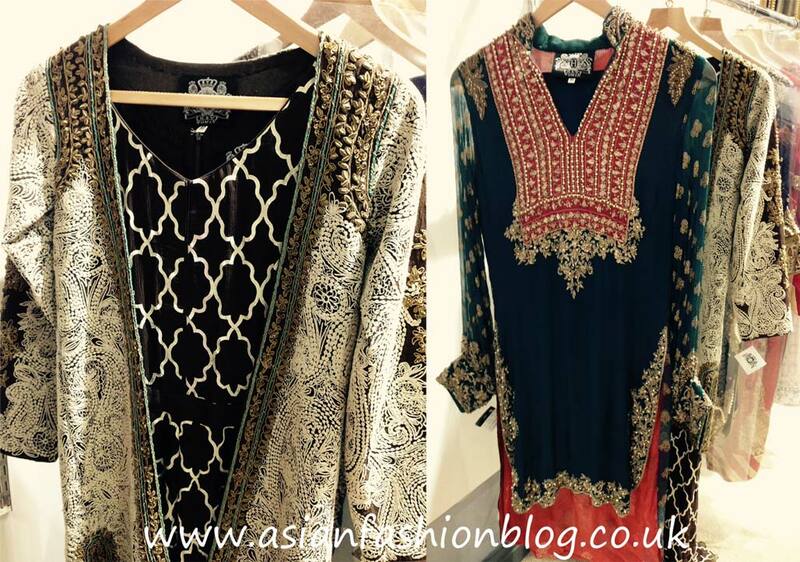 Fans of Pakistani fashion in the UK will no doubt already be familiar with Imani Studio, which was established in 2005 and was the store that offered me my first chance to try on collections from Pakistan's top designers! Here's a closer look at their new store and details from their launch event! 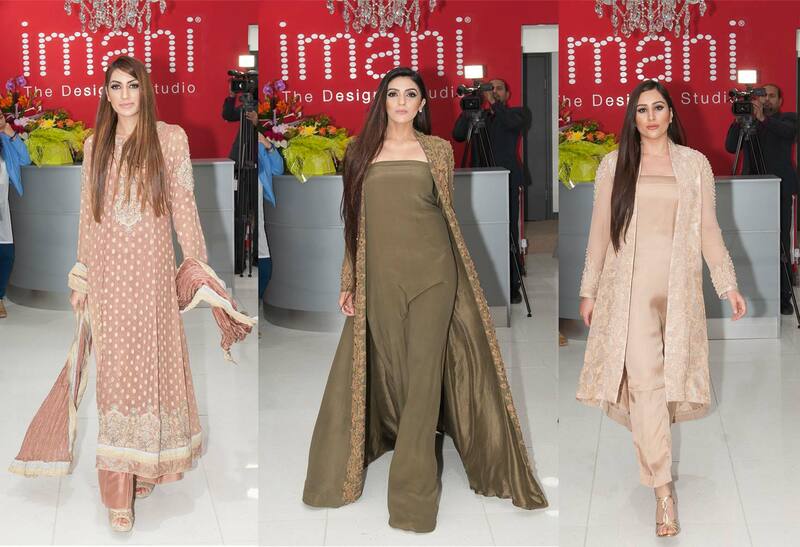 Located at 115 Wilmslow Road, their new store covers three floors with ready-to-wear pieces on the ground floor and dedicated floors for bridal collections and menswear. I was one of the first to arrive so had a good chance to browse the collections before all the other invited guests arrived. I was really drawn to the collection of HSY outfits, in particular the geometric-prints! I wore my new black and gold kaftan from Raishma with my skinny jeans, pointy patent KG heels and red lips courtesy of Burberry Kisses in Military Red 109. 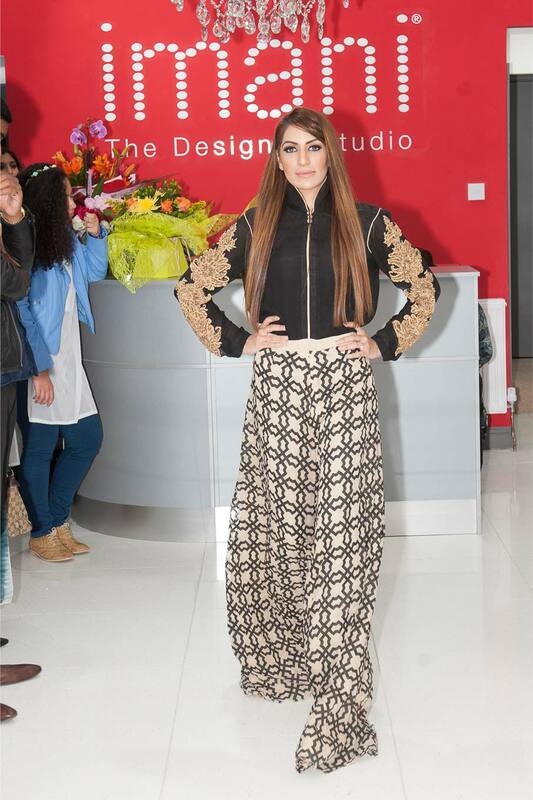 Fellow asian fashion writer Alia Raffia wore an outfit she designed herself - great choice with a high-low hemline! Imani, Sultan and Ferhat Asi, the family behind Imani Studio. 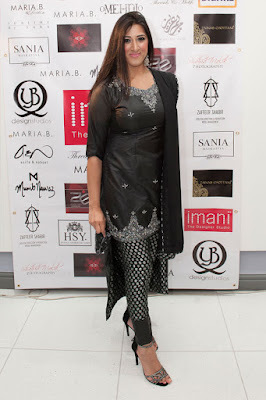 Imani's gorgeous gown is by Maria B. 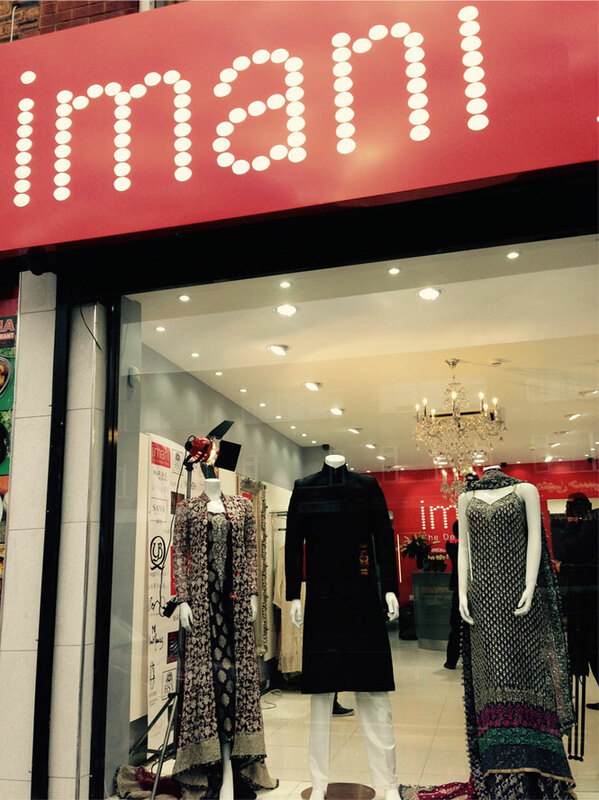 The store is open now with launch discounts available to the lucky first few! Follow Imani Studio on Facebook for more info and updates. 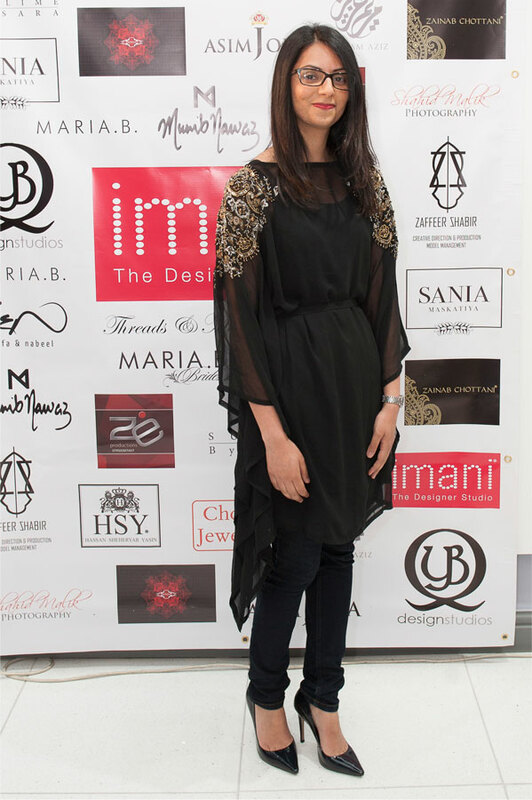 Hair & Make-up: Bano Ali, The Makeup Room.